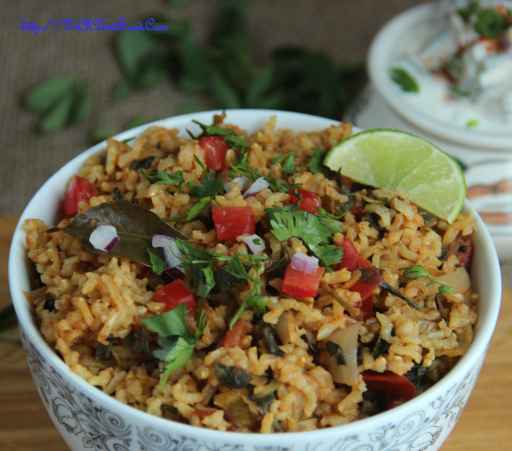 This is healthy and flavorful rice made with fresh fenugreek leaves and tossed in spices. This rice dish is perfect for light meal/ packed lunch. Iron-rich fenugreek leaves are combined with tomatoes which are rich in vitamin c and brown rice is used for additional fiber touch which is beneficial for diabetic friendly.